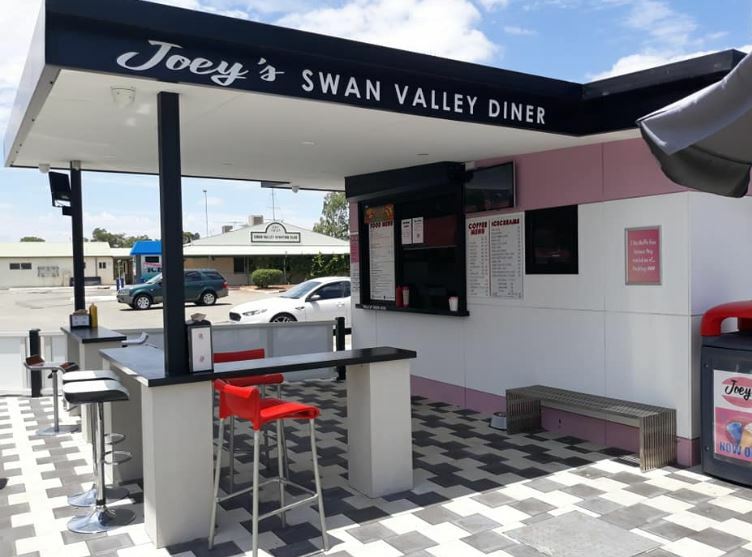 Joeys Swan Valley Diner is brining back the 1950's and 1960's with it's retro style family friendly diner with drive thru, walk up or alfresco dine in options. 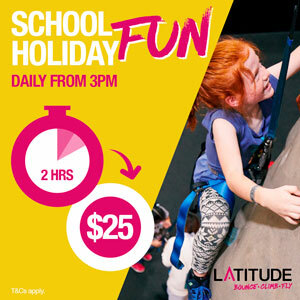 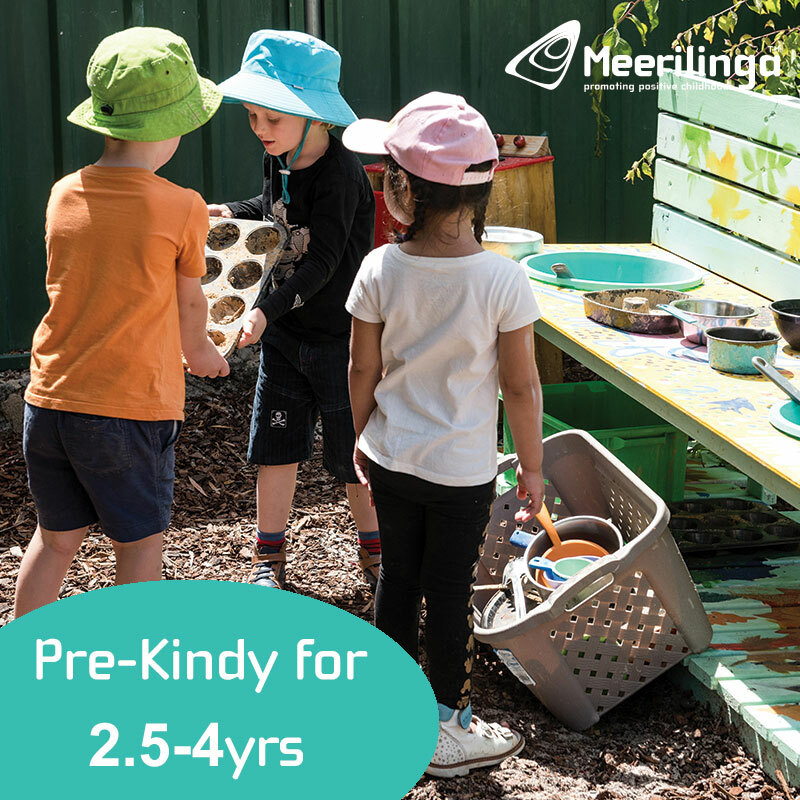 If you want to dine in and enjoy the full experience, you will love the relaxed feel with mostly fenced play area complete with sandpit, toys and plenty of grassed area to run around. 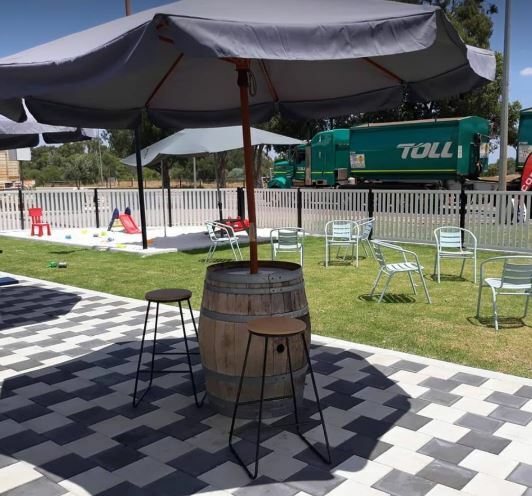 It's located on Great Northern Highway, so kids will love watching all the trucks go by. 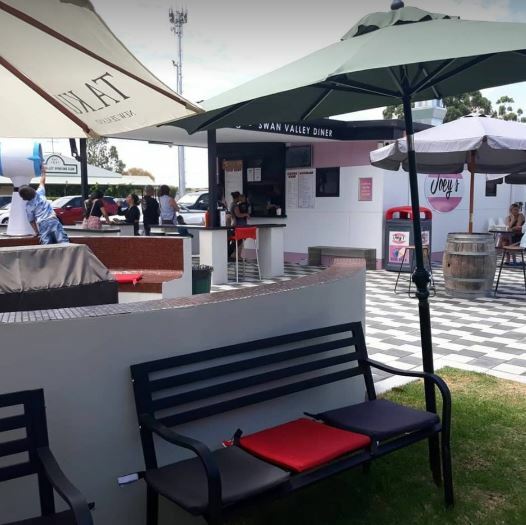 There is plenty of seating around the diner and is pram and wheelchair accessible. 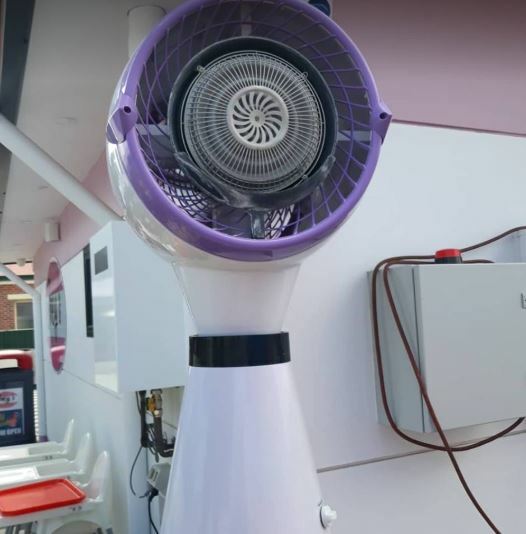 The retro decor is very cool, including these large retro demister fans perfectly place to keep you cool on a hot day. 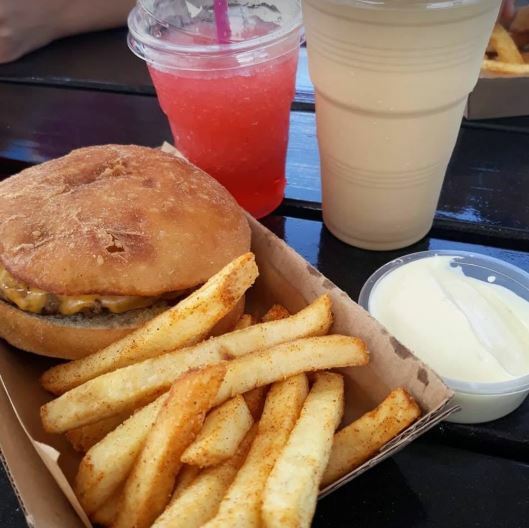 The kids meals were huge and just $7 and you can add a slush and ice-cream for just $3 (unfortunately the machine was being repaired when we visited. 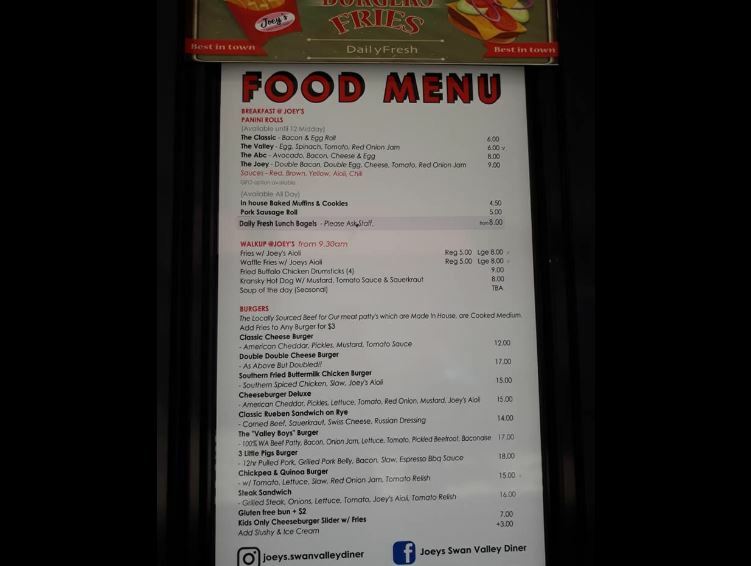 Joeys Swan Valley Diner is open daily from 6am - 9pm, so you can add this to your day on in the Swan Valley anytime. 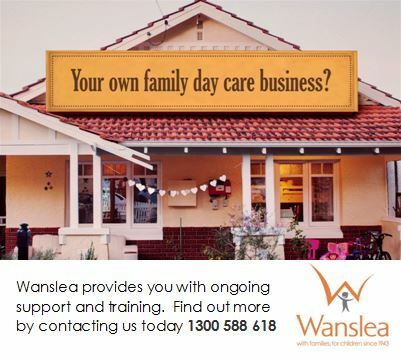 Or if you the go you can walk up or drive thru and grab your order.